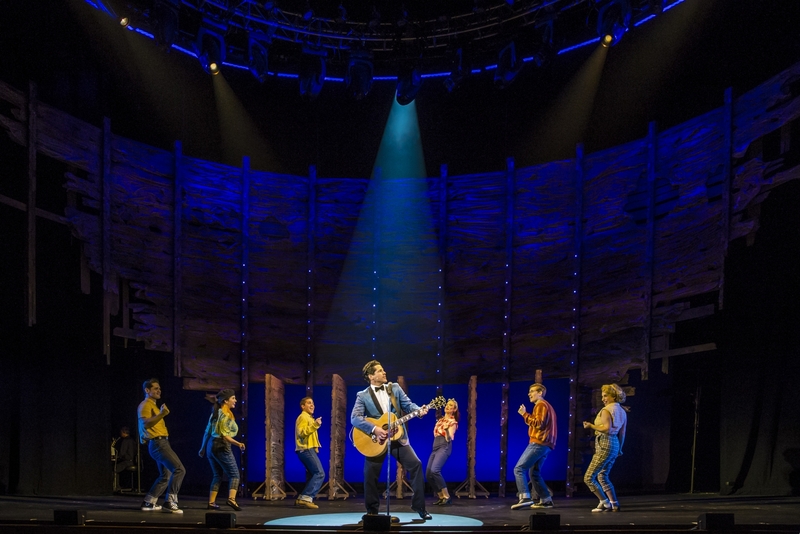 LD Jason Kantrowitz Chooses 4Wall NY to Light Part of the Plan Musical | Press Center | 4Wall Entertainment, Inc.
Nashville, TN- A new and hopefully Broadway-bound musical, Part of the Plan, opened to rave reviews this month in the Music City's Tennessee Performing Arts Center (TPAC). The musical draws its score and inspiration from the deep catalog of singer/songwriter Dan Fogelberg. Lighting Designer Jason Kantrowitz turned to 4Wall New York for the gear needed to light the musical's debut at TPAC, in hopes of continuing its journey on to Broadway. After multiple prior readings of the show Part of the Plan, the producers' goal for this developmental production was to see the fully staged material performed in front of Nashville audiences in order to hone the script. "Since the show was co-produced by the TPAC as part of their Broadway season we wanted a first-class looking physical production," explained Kantrowitz. "The creative team collaborated to create simple, flexible, evocative designs for the story that spans three decades and moves between New York, Sante Fe, West Virginia, Fort Dix and Vietnam." The lighting needed for the handsome set design by Jason Sherwood, came from 4Wall NY, but was shipped to 4Wall Nashville for the show. The set featured an earthy wraparound textured wooden wall containing five hidden rolling doorways. Hanging on a circular truss that reflected the curve of the set were Vari*Lite VL3500Q Spots and Martin MAC Viper Wash DX fixtures. These moving lights allowed the design team to sculpt the space in unlimited shapes and colors. "A priority of our design concept was the visual sense of 'doorways in life'; doors we burst through, doors slammed in our face, and doors we chose not to open," said the LD. "Having the capability of shuttering the fixtures was key." 4Wall also provided Chroma-Q Color Force II LED battens and GLP Impression X4 Bars. "A curved pipe of Color Force IIs skimmed the crinkled front surface with perfectly smooth, gorgeous saturated colors," explained Kantrowitz. "Backlighting the wooden slats of the set was a ground row of GLP Impression X4 bars that also served as rock and roll audience blinders and shafts of gunfire during a Vietnam jungle ambush." Since one of the goals of this out of town tryout was to attract a parade of Broadway producers and investors to come see it for potential future involvement, the team wanted to present visuals as lyrical and compelling as the Dan Fogelberg music. Kantrowitz spoke highly of the service provided by multiple 4Wall locations. "Working closely with Al Ridella and Phil Foleen at 4Wall we were able to execute that objective with an equipment list that met the creative, technical and budgetary criteria," said the LD. "Al was a passionate creative partner in the process and his dedication to nurturing new works is unmatched. Although the lighting equipment package was prepped at 4Wall New York, the local service support from 4Wall Nashville's shop was critical to the show's success."